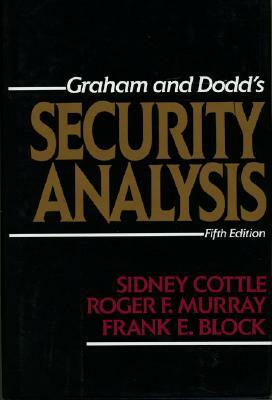 Since its publication, "Security Analysis" by Graham and Dodd has been the investment bible and has sold more than 750,000 copies. Now the fifth edition of this classic updates the application of the Graham and Dodd valuation approach for today's greatly changed investment environment. This edition brings the Graham and Dodd approach up to date with the changes that have occurred since the last edition was published--changes in investment practices and regulation, several new tax laws, the explosion of new accounting and financial reporting rules, persistent inflation in capital markets, new investment instruments, and more. Maintaining the high standards of prior editions, "Security Analysis" puts at your fingertips the authoritative guidance on analyzing securities that generations of users have come to rely on. Here in clear, easy-to-use explanations you'll find the tools of financial statement analysis--from the investor's viewpoint and with an investor's notion of income and capital maintenance--that have enabled value investors to keep the edge in a highly competitive market. The book provides the principles and techniques to measure asset values and cash flows so that you can sharpen your judgments of company earnings, refresh your insight into what individual companies are worth, and evaluate how much debt a leveraged company can service. You'll find practical guidance to make better investment decisions whether you're a security analyst, portfolio manager, broker/dealer, investment banker, credit officer, or a serious individual investor. Heavily illustrated with examples taken from real companies, "Security Analysis," Fifth Edition, is an investment book like no other for investors who aspire to the highest investment accomplishments. Description: Navy cloth with gold and white lettering on spine. Solid copy. No writing in the book. xiii, 656pp., index. Full refund if not satisfied.